Aims and Objectives for Roly Poley’s. “Every child deserves the best possible start in life and support to fulfill their potential. A child’s experience in the early years has a major impact on their future life chances. A secure, safe and happy childhood is important in its own right, and it provides the foundation for children to make the most of their own abilities and talents as they grow up” (paragraph 1.1 EYFS Statutory framework). Personal, social and emotional wellbeing by providing an inclusive ethos in which each child is a valued member in our nursery community. Enthusiasm for knowledge and learning and the confidence to be successful learners. Opportunities that enable children to co-operate and work harmoniously alongside and with each other. Attention skills and persistence so that children can concentrate on their own play and learning. Communication skills of speaking, and listening by providing opportunities for children to speak and listen in a widening range of situations, to respond to adults and to each other, to practice and extend the range of vocabulary and communication skills they use. Reading and writing by providing opportunities for all children to explore, enjoy, learn about and use words and text in a broad range of contexts in which they can explore, enjoy, learn, practice and talk about them. Knowledge and understanding of the world by providing children with opportunities to solve problems, make decisions, experiment, predict, plan and ask questions in a range of contexts; and to explore and find out about their environment, and people and places that have significance in their lives. Physical development by providing opportunities for all children to develop and practice their fine and gross motor skills, increase their understanding of how their bodies work and what they need to be healthy and safe. We pride ourselves on providing a high quality childcare service and we strive to provide for each child’s every need. Each child is carefully nurtured and great care and effort is expected to ensure that all children in our care feel included. 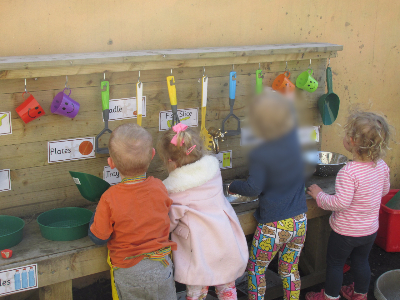 Our nursery facilities offer an exciting and ever changing stimulating learning environment. Our nursery provides a loving, caring atmosphere, which encourages the development of physical, emotional, cognitive and social skills. We endeavour to provide a service that not only meets your child’s needs and encourages this essential development, but also provides a service which you as parents will be fully satisfied with and one which meets your needs. Our staff are encouraged to develop their skills and knowledge and to work with you and each other. We strive to make the whole experience a happy and enjoyable one for all involved. Our nursery caters for children aged between 4 months and 5 years. The nursery operates a key group system which allows the children to gain a good relationship with staff, and someone recognizable for parents to talk to regarding their children. Parents are actively encouraged to participate in their child’s development. We acknowledge that as parents you are your child’s first educators and by working together as a team we can improve the outcomes for your children. In order for our nursery to run efficiently and to maintain the high standards of childcare we provide, all our staff are carefully appointed for their qualifications, experience, dedication, warmth, friendliness and sensitivity. Staff meetings are held regularly in order to allow staff to discuss past, present and future activities and events. All staff plan for their key children’s individual interests and undertake daily observations on the children, these are displayed on the walls in each room and parents can view these. Each child is also given a “learning journey”, these files will contain your child’s observations and photographs of your children participating in activities, and any work they have produced. Parents are free to take these files home, all we ask is that they are signed out of the building and signed back in. Parents are welcome to add any additional information into the files. 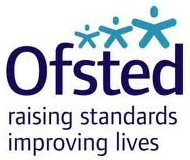 We believe strongly in working in partnership with parents.